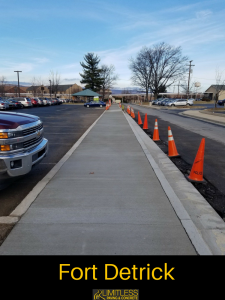 Limitless Paving & Concrete proudly services military and local government facilities, the state of Maryland, and even have had the privilege to work with the federal administration. 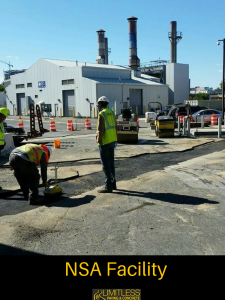 These asphalt and concrete projects have helped build and maintain our public infrastructure. We’re also a proud sponsor of our troops, and offer specialized services on all military bases. We have even completed Concrete Work at the Vice President’s House! 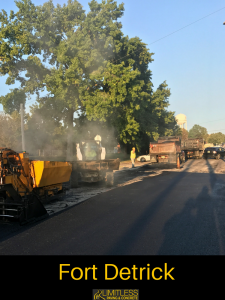 We have both the experience and expertise to provide the highest quality work at the most competitive price for all government paving needs. 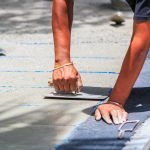 Whether it’s a new installation, repairs, or resurfacing, we guarantee safe and beautiful pavement structures. The majority of states have converted their public roadways to asphalt. It’s a relatively cheap material to install and is completely recyclable. About every 2-3 years, these roads may need an overlay to protect them from erosion, especially before winter. We specialize in sealing and repairing cracks in the foundations. We also recommend the state sealcoat the asphalt to prevent environmental damage. Most public sidewalks and paths use concrete since it creates a beauty appeal. Plus, it allows pedestrians and bikers to travel with ease. Concrete tends to be more durable than other materials, meaning it will last much longer (10-20 years). It’s unlikely concrete sidewalks will ever develop potholes or cracks, as long as your community has installed the pavement correctly and taken steps to maintain it. As a state entity, Maryland has a lot of work to do monitoring all the public roadways, highways, sidewalks, and other pavements. We have the best technicians for examining pavements and understanding the right protocol for maintaining and repairing them. We want our community to be safe and beautiful for everyone. We can do everything from quick resurfacing to complete recovery projects. Every building needs a sturdy foundation. With us, all your public facilities will have durable base material to prevent structural decay and survive most natural disasters. 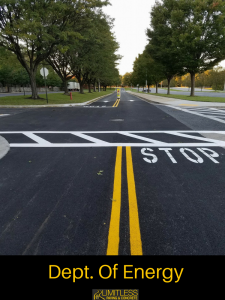 When installing public roadways, it’s essential to have well-maintained curbs and barriers. This helps prevent environmental damage by sloping rainwater into gutters. They also help control the flow of traffic and lessen damage from accidents. Over time, curbs can suffer crack and chip damage. After a quick inspection, we can apply new concrete to cover the damaged area. Damaged curbing can cause drainage problems that will deteriorate your pavement quicker. Concrete and asphalt don’t have to be boring! We want to bring the fun to your neighborhood by constructing parks and recreational facilities. It brings us great joy seeing families gather and children play freely at public parks we’ve built. 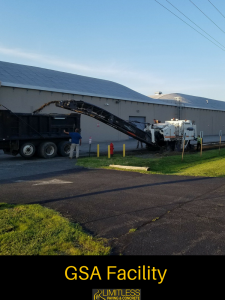 We can pave and stripe quality basketball and tennis courts, athletic tracks, skateboarding parks, roller rinks, and public pool facilities for your city. Maryland is a state with great natural beauty. We love the outdoors just as much as anyone. So, we strive to build quality parking lots and nature trails for both state and national parks. Our beautiful environment requires a significant level of stewardship to maintain. 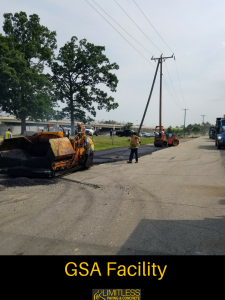 We have a lot of experience under our belts in every field of pavement construction. With our background, we can offer Maryland the very best roads possible. We’re a proud supporter of our military personnel. From us at Limitless Paving & Concrete to all men and women in uniform: thank you for your service! We are very grateful for the opportunity to work on paving projects on bases and facilities from all branches of the military. In recent years, we’ve even completed maintenance on the Pentagon building. If there’s anything we do to help our armed forces, let us know! Being so close to Washington, D.C., we’ve been honored by the national government with the privilege to work on several of our capital’s public monuments and buildings. As patriotic Americans, we love working on these projects, knowing that they have a special place in our heritage. From cleaning up historical building lots to working on world-renown museums, we do everything we can to keep these cultural landmarks safe and thriving. Public educational centers deserve the best roads and walkways possible. If you’re not safe driving to class, it’s probably affecting your learning. Public grade schools suffer a lot of wear and tear from hundreds of cars and buses shuffling through their carpool lanes. It’s essential we give them the attention they need throughout the year. Parents, students, and teachers serve to benefit from beautiful, long-lasting pavements at their schools. 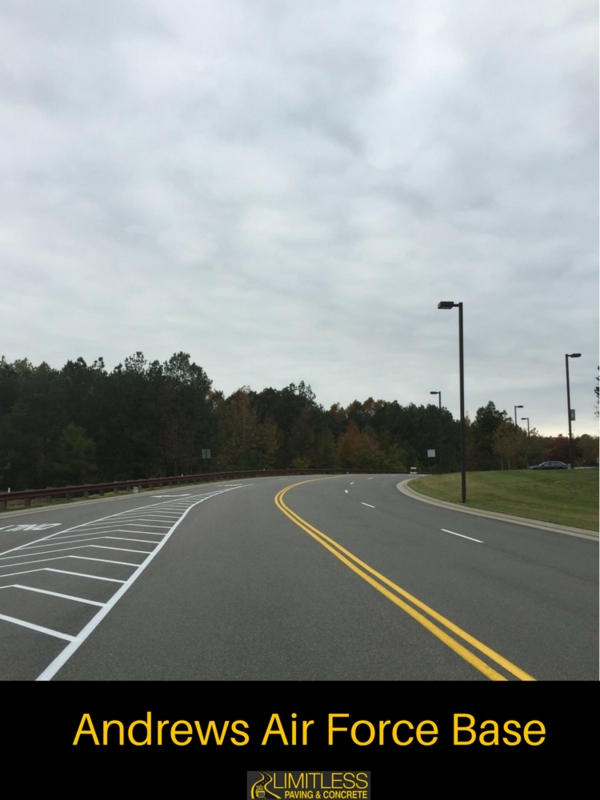 Universities especially need an established pavement maintenance plan for their facility and students. College should be the best years of your life! Don’t let cracked asphalt and potholes ruin the experience. Many public universities in the area also have huge parking garages. These facilities require occasional restriping. Contact us today if your university needs a new parking garage installation. We can come out and give a free estimate within the week.